Organized by the Antalya Metropolitan Municipality for the 53rd time, the International Antalya Film Festival will be held Oct. 16-23 with the screenings of international and domestic films along with short films, documentaries and film competitions overseen by the recently announced members of the International Feature Film jury. Chaired by Oscar-winning Director Hugh Hudson, widely acclaimed for his cult film "Chariots of Fire," the jury will include Palestinian Director Najwa Najjar, American film Director Wash Westmoreland, acclaimed for the independent films "Still Alice" and "Quinceanera" (Fifteen), Dutch actor Rutger Hauer, who is known for his roles in Ridley Scott's "Blade Runner" and TV series "Buffy the Vampire Slayer," the unforgettable star Andie Macdowell, Golden Orange-winning actress Nursel Köse and the founder and the director of the International Sarajevo Film Festival, Mirsad Purivatra. 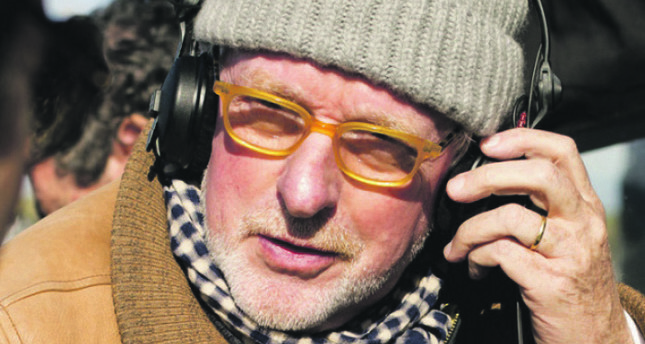 Hugh Hudson began his career as an editor and documentary producer and continued to work in advertising before he caught the eye of famous Producer David Puttnam and directing the four-time Oscar-winning film, "Chariots of Fire" in 1981. He continued to direct films with controversial themes after his success with "Chariots of Fire," going on to direct "The Legend of Tarzan" and "Lord of The Apes" in 1984, "Revolution," starring Al Pacino and Nastassja Kinski in 1985 and the 1989 film "Lost Angels" starring Donald Sutherland, which competed for the Palme d'Or award at the Cannes Film Festival. Starring Kim Basinger and Vincent Perez, Hudson's "I Dreamed of Africa" was the closing film of the 2000 Cannes Film Festival. His latest film titled, "Altamira," which tells the story of the impassioned efforts of an archeologist to discover 35,000-year-old cave paintings will also be screened at the 53rd International Antalya Film Festival. Director Najwa Najjar, who defends the Palestinian cause on the international platform both with her films and articles, comes to Turkey once again for the International Antalya Film Festival. After receiving her degree from politics and economics, Najjar kicked off her career by filming advertisements. After 2000, she directed short films and documentaries such as "Naim and Wadee"(2000), "Quintessence of Oblivion"(2001) and "Blue Gold" (2004), which were featured in prominent festivals all over the globe. Her debut feature film "Pomegranates and Myrrh" was screened over 80 international festivals including the Women's Films Festival in Turkey. Najjar is currently working on her third feature film titled "Son of a Very Important Man." 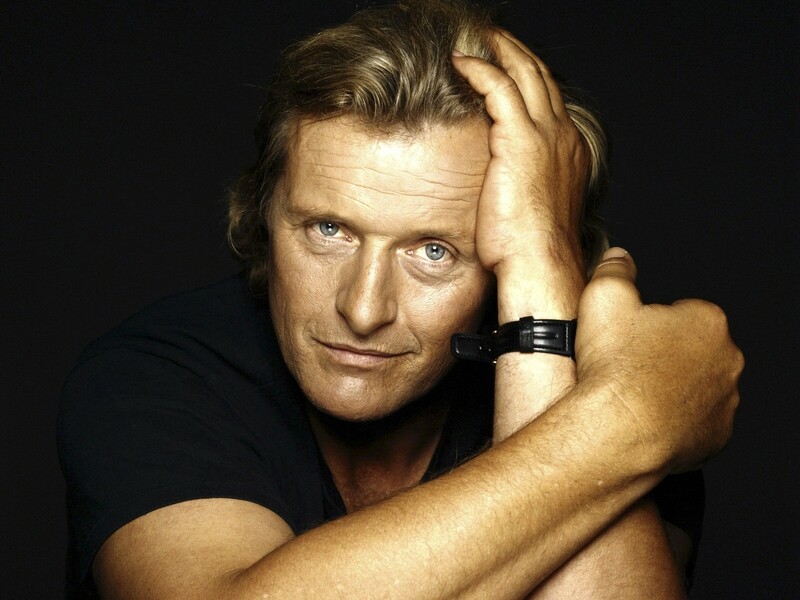 Dutch actor Rutger Hauer, who is known for playing widely different characters, began his career as an actor in a TV series, breaking into acting with his role in Paul Verhoeven's "Turkish Delight" filmed in 1973. Throughout his career, Hauer starred in many films, the most notable of all being the two-time Oscar-winning cult film "Blade Runner," which turned him into a star. Hauer's career continued at full-steam from the 1970s to 2010 in a long run of success, attributable mostly to his ability to find common ground with modern actors, recently starring in the 2012 film "Dracula" and "Letters" in 2014. Hauer will once again grace the silver screen with his role in Luc Besson's widely anticipated comic book adaptation titled, "Valerian and the City of a Thousand Planets." American actress Andie MacDowell, who was discovered just after she began modeling in New York, began her on-screen career with jury chair Hugh Hudson's 1984 film, "The Legend of Tarzan: Lord of The Apes." In order to take serious steps in her career, she took classes at the Actors Studio and starred in many award-winning productions. Her most iconic role was in Robert Altman's 1993 film, "Shortcuts," which won her the award for "Best Actress" at the Venice Film Festival and Golden Globe Award for "Four Weddings and a Funeral" in 1994. McDowell, who was chosen among the most 50 beautiful people of all time, is an actor that Hollywood cannot get enough of. The founder and director of the International Sarajevo Film Festival, Mirsad Purivatra has been organizing art and culture events since the 1980s. Prior to the Bosnian War, Purivatra was a member of the Sarajevo Obala Art Center. He did not stop during the war and continued to open exhibitions for young artists. After the war, he initiated the International Sarajevo Film Festival, which is one of the most important festivals held in the country. Purivatra, who has been given classes on productions, was granted the Art and Literature Token from the France's Culture Ministry and won Entrepreneur of the Year Award from Europa Cinemas. He also produced Danis Tanovic's "Cirkus Columbia," which won the Golden Orange for "The Best Film" at the International Antalya Film Festival in 2010 and Turkish director Nuri Bilge Ceylan's "Once Upon A Time in Anatolia," which won "Grand Jury Prize" at the Cannes Film Festival in 2010. Scriptwriter and director Wash Westmoreland traveled to the U.S. to study cinema following his political studies in the U.K. "Quinceanera," co-written and directed by Richard Glatzer and Westmoreland, won the Grand Jury Award the Audience Award at the Sundance Film Festival. His collaboration with Glatzer in "Still Alice," focusing on the Alzheimer's patient Alice Howland, brought numerous nominations and awards to the leading actress, Julianne Moore. Nursel Köse went to Germany at the age of 17 to study architecture, where she began to write scripts and began acting. She took part in numerous plays and went on to found Germany's first-ever female cabaret company, "Die Bodenkosmetikerinnen" in 1992. Köse made her silver screen debut with veteran German Director Hark Bohm's Golden Bear award-winning film "Jasmine" in 1988. She was also featured in Buket Alakuş's "Anam" (My Mother), Fatih Akın's "Kebab Connection" and Cannes Film Festival award-winning film "The Edge of Heaven," as the leading actress. She also won the Golden Orange award for "Best Supporting Actress" at the 44th International Antalya Film Festival for her role in "The Edge of Heaven," going on to win her second Golden Orange award for her role in Kutluğ Ataman's "Kuzu" (Lamb) in 2014. Currently, Köse is working on the script of her directorial debut "Karınca Kadın" (The Ant Woman).